The LIFEPAK CR Plus proves there’s good reason for Medtronic Physio-Control being the preferred choice among medical professionals. Exceptional simplicity, portability, minimal maintenance, an eight-year warranty, and so much more are all featured with the LIFEPAK CR Plus. As a result, the LIFEPAK CR Plus is what we recommend for nearly all of our customers and is our favorite defibrillator on the market. The LIFEPAK CR Plus is designed for both the layperson and the trained health care professional. Combining Physio-Control's preferred escalating therapy (recently recommended by the American Heart Association's 2010 Guidelines) with both simplicity and portability, the LIFEPAK CR Plus is perfect for any responder. Simplicity is key in a traumatic situation and particularly so for untrained responders. Medtronic took this into account and created an incredibly easy-to-use defibrillator with the LIFEPAK CR Plus. Simply press the LIFEPAK CR Plus's release button to open the lid and the LIFEPAK CR Plus automatically turns on. Once the LIFEPAK CR Plus is opened, clear voice prompts walk you through every step of the rescue process. The LIFEPAK CR Plus is also perfect in its size. The LIFEPAK CR Plus is one of the smallest AEDs available and weighs a meager four-and-a-half pounds, making it one of the lightest defibrillators on the market. In situations where portability is required, the LIFEPAK CR Plus performs wonderfully. 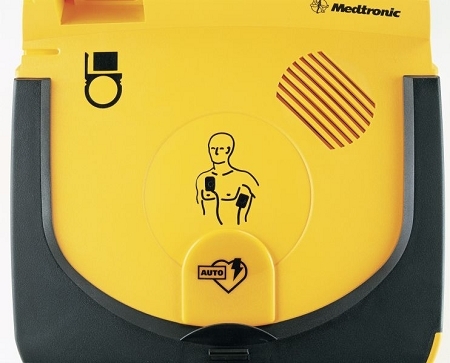 The LIFEPAK CR Plus shares the same technology used by Medtronic Physio-Control's more complex defibrillators (some of which cost upwards of $30,000). As many rescue professionals will attest, Medtronic Physio-Control is preferred over other manufacturers due to their patented ADAPTIV biphasic waveform and escalating therapy. The first shock delivered is at 200 Joules and, should the shock not start the patient's heart, the LIFEPAK CR Plus will then escalate its energy output up to 360 Joules. In short, if the first shock doesn't work, the LIFEPAK CR Plus increases the energy output for greater chances of reviving the heart. Simplicity also extends to the maintenance of the LIFEPAK CR Plus. The CHARGE-PAK (the battery system for the LIFEPAK CR Plus) and electrodes ship to you with identical expiration dates, allowing you to keep track of only one date rather than two. Once the expiration date is reached (around two years) and/or after using your LIFEPAK CR Plus, simply replace both at the same time. Along with keeping watch of expiration dates, AED and defibrillator owners are usually required by law to regularly check their device to ensure their AED is in working order. Medtronic once again has you covered and has kept maintenance to a minimum. The LIFEPAK CR Plus performs basic self-checks weekly, in addition to a more thorough diagnostic test conducted on a monthly basis. In short, maintenance for the LIFEPAK CR Plus is one of the easiest and least time-consuming out of any defibrillator available. The LIFEPAK CR Plus also comes in two different models – a semi-automatic model and a fully automatic model. 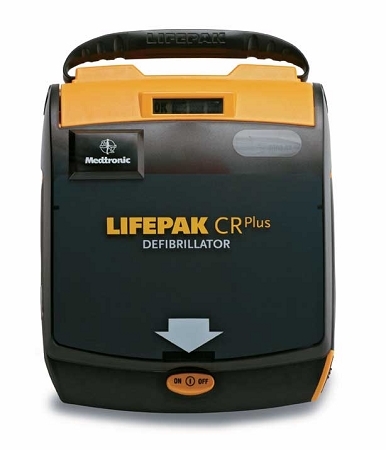 If you’re looking for a defibrillator where you have to press the shock button when prompted (trained professionals usually prefer this method), you’ll want to purchase the semi-automatic LIFEPAK CR Plus. For those looking to have the LIFEPAK CR Plus administer the shock for you, you’ll want to purchase the fully-automatic LIFEPAK CR Plus. The LIFEPAK CR Plus continues to deliver on top of all these exceptional features: each and every LIFEPAK CR Plus comes with an unsurpassed eight-year warranty. 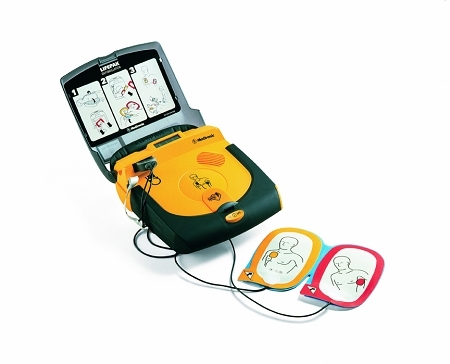 The LIFEPAK CR Plus is an amazing AED that we recommend without any reservation. The LIFEPAK CR Plus is perfect for both the layperson and the trained responder, addressing any and all needs and features across a wide breadth of experience for all types of responders. And with thousands of lives already saved by LIFEPAK AEDs and defibrillators, the proof is also in the numbers. No matter what your environment you're looking to outfit with an AED or defibrillator, the LIFEPAK CR Plus is an excellent choice and one you will not be disappointed with.